The thing about football—the important thing about football—is that it is not just about football. There was a recent thread on social media in which high school English teachers were asked what they’d like middle school teachers to consider when planning instruction. The intent was sensible—to open dialogue about preparing students to be competent writers in high school. There was a lot of input. Initially excited to learn from the conversation, I grew dispirited as I scrolled through it. It’s the same feeling I have when my college football team plays. The very existence of Ohio State Football elicits a barrage of opinions. On one side, you’ll hear people say the team is Ohio’s whole identity and brings immeasurable pride to our state. On the other side, you’ll hear that the program is an obnoxious, cheating, insufferable money machine. When the team wins, there is a flood of suggestions and ideas for how to be better. When they lose, it’s like mourning at a funeral service, with all relatives of the departed prepared to purge all their frustration and fury over the dead body. Sometimes being a writing teacher feels just like that. It’s unwinnable. Impossible to please everyone and prepare every writer for all the things they “need.” Even if your students are doing well, plenty of people will tell you all the ways you could improve your instruction. The truth is, we can’t do it all. And it’s not healthy to try to absorb the impact of endless opinions and input, even from students’ future teachers. We’ll never get it exactly right for all the kids all the time. I wish for teachers a place of peace. Like football fans, writing teachers should be happy with the wins—a well-written essay, a confident writer, an inspired and inspiring writing environment—and should accept them with congratulations for the effort behind it. We should use the losses—the dud writing pieces, the uninspired students, the trials of teaching a very difficult process—to learn and do better next time. Writing teachers, let’s unite in that place of calm confidence. We’re all working together, and we’ve got time. We’ll get it done. This week we look at ways to improve teamwork and collaboration among students as well as teachers. Enjoy! Jen Schwanke began her career as a language arts educator and is currently a principal for the Dublin City School District in Dublin, Ohio. She blogs about her experiences in learning and leading at jenschwanke.com. Follow Jen on Twitter @Jenschwanke and Instagram @jenschwanke. Her book You’re the Principal! Now What? is available through ASCD. Tara Barnett and Kate Mills find the young learners in their classroom have mastered the art of turning and talking only with close friends. They provide practical suggestions for expanding the circle of peer response. Ruth Shagoury finds that some of the best learning in her study groups comes when teachers share the new things they are trying in their classrooms. She develops a nifty one-page notetaking form to help everyone keep track of ideas they want to test out with students. A Parent’s Wishlist for Raising Caring Kids from the Doing Good Together organization is a terrific resource to share with families looking for practical strategies for raising kind and collaborative children. Students aren’t just collaborative in our classrooms—they are connecting with others all over the world. Stephanie Affinito shares her favorite picture books to teach digital citizenship. In this week’s video, fifth-grade writers in Franki Sibberson’s classroom encourage each other and suggest revisions to their opinion writing drafts in partner teams. If you want to bring everyone in your school together around writing, you can’t beat the simplicity and fun of six-word memoirs. Jen Schwanke describes how she sparked enthusiasm for the project in her school. In an encore video, Katrina Edwards leads a whole-class reading share session where the focus is on how reading partners work together to teach and not tell. 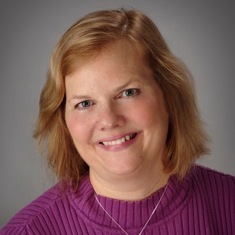 Our featured contributor this week is Katherine Sokolowski, a teacher and writer in central Illinois. Katherine presents for Scholastic and at NCTE, and her blog has been profiled by National Public Radio. Her new course on student research launches in six weeks. You can view Katherine’s latest writing and videos for Choice Literacy at this link. Collaboration gets complicated when you’re dealing with reading specialists and classroom teachers assisting the same struggling learners. Cathy Mere reflects on her experiences in both roles and provides some prompts for better conversations about expectations for team support. In this two-minute video, Cathy chats with Kelly Hoenie about how her collaboration with teachers has changed over 15 years of coaching—from rigid protocols to in-the-moment decisions about how best to support each teacher. New PD2Go: Student-led book clubs and literature groups take a lot of effort to do well. This workshop and video includes sample minilessons and a discussion guide template from Gigi McAllister. Options are included for 30- and 60-minute professional development sessions. Karen Kane shares the five most common ways teams malfunction, from triangulating instead of direct talk to solving the wrong problems. Have you claimed your 40% Literacy Leader subscription discount for one of our online courses yet? Instructors include Ruth Ayres, Dana Murphy, Katherine Sokolowski and many others. Details are at this link. Somewhere between the fact we know and the anxiety we feel is the reality we live. We consider how literacy celebrations might be woven in the fabric of classroom and school life. 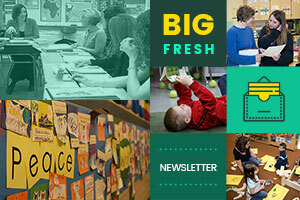 We consider ways teachers can reset routines and expectations early in the new year in this week’s Big Fresh. We look at how to change struggles to strengths in this week’s Big Fresh.